Apps are truly changing the way we do things. There are apps to order food, clothes and anything else we might fancy. Absolutely no need to get out of bed. There are a few dedicated to selling pre-loved items. And others that provide a platform for DIY-ers to find a market for their handmade creations. It’s all very easy. A little too easy perhaps. Because some people are taking the ‘sab kuch bikta hai’ saying to heart. First, a natural coconut shell cup was being sold for INR 3000. 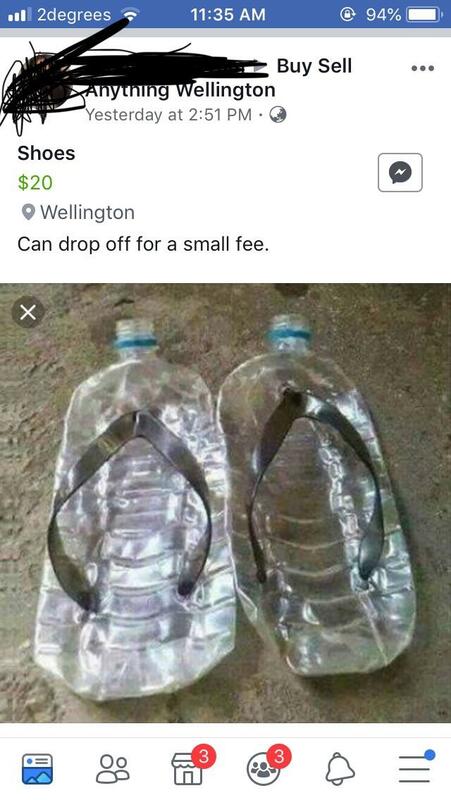 Now, someone in New Zealand is selling bizarre ‘shoes’. The Reddit thread displays a screenshot of ‘Buy Sell Anything Wellington’ on Facebook. The seller, a woman whose identity has not been revealed is attempting to sell the ‘shoes’ for NZD $20. Plus delivery charges. They’re basically just two disposable plastic water bottles flattened out and attached with slipper-like straps. The internet’s response to these was as cheeky as you’d expect. Comment from discussion ComeAlongPonds’s comment from discussion "Good deal?". Comment from discussion blackteashirt’s comment from discussion "Good deal?". Comment from discussion weddle_seal’s comment from discussion "Good deal?". Comment from discussion kickypie’s comment from discussion "Good deal?". Comment from discussion popallen’s comment from discussion "Good deal?". We’ve heard of artists putting up their work online for sale. Home bakers do it to save on overhead expenses. There are even dedicated pages to exchange/swap old books. But this defies all logic. Did the seller post it as a joke? Or was it a dare? If you’ve seen more such bizarre products being sold online, do let us know.